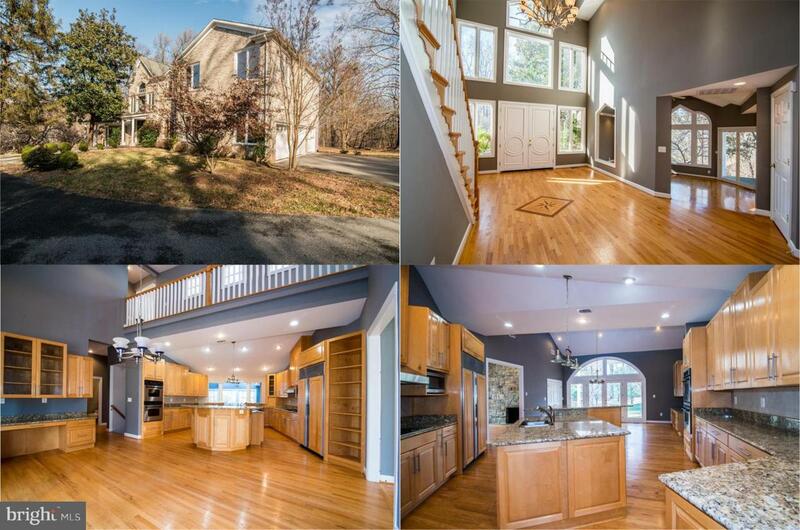 Spectacular light filled 6 BR home each with it's own private bath on beautiful private 3.23 acres with 3 car garage just minutes to Potomac Village! Stunning 2 story foyer with custom inlay, hardwoods on all 3 levels, soaring ceilings, large custom windows & built-ins throughout! Step down formal living room w/French doors to porch, formal dining room, library with custom woodwork, bookcases. Open gourmet kitchen w/granite, SS appls, huge 2 story breakfast room w/French doors to patio. Family room with stone fireplace. 2 main level bedrooms each with full bath. Fabulous master suite with sitting room & luxurious master bath. Finished walk out lower level has large game room with wet bar/kitchenette, recreation room w/2nd FP, den, full bath & half bath.